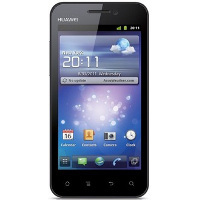 Huawei Honor is a smartphone platform Android 2.3.5 (Gingerbread), 1.4 GHz processor and a large, 4-inch high-resolution screen. Phone is designed according to the latest design trends, minimalist design and a strong focus on ergonomics. One of his greatest strengths is the strong battery and the device used in the system to optimize energy consumption, allowing for uninterrupted operation of your smartphone up to 2 days without charging. Remember that entered PIN on the website must be exactly the same as PIN entered in the setup program on your Huawei Honor.